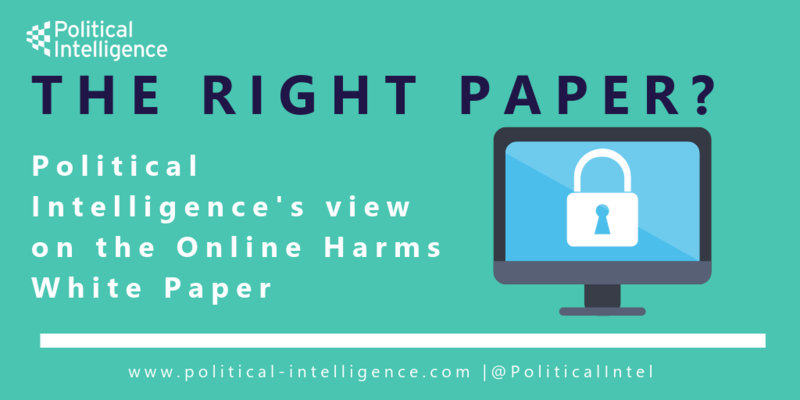 The Government has published its long awaited Online Harms White Paper, a joint endeavour produced by the Department of Digital, Culture, Media and Sport and the Home Office that outlines plans for a new regulator charged with ensuring that companies protect their users online. Ambitious proposals were expected, following weeks of warning from both Home Secretary Sajid Javid and Culture Secretary Jeremy Wright that Government are ‘not afraid to legislate’ and would penalise tech companies that absolved themselves of responsibility of their users, and this White Paper does not disappoint. The Paper outlines plans to establish a new statutory duty of care on companies and compliance will be overseen by a regulator. This regulator will be required to assess the action of companies, according size, resource and age of their users and take proportionate steps, depending on the severity and scale of the harm in question. They will have the power to require annual transparency reports from companies, information pertaining to the algorithms they use and can issue civil fines when companies fail to comply with standards. 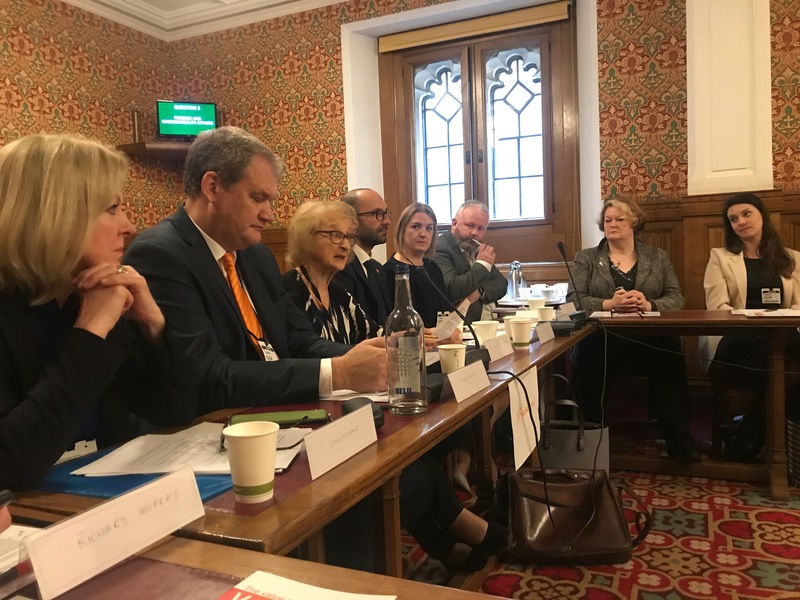 The plans weigh up the possibility of both a new regulator, acknowledging that while this would have a clear and coherent remit it would be expensive to set up, and utilising an existing regulator that has the capacity to take on these new responsibilities. Ofcom is clearly cited as a contender for the role, at least in the interim period, while a new regulator is formed. The influence of the Home Office is apparent in the Paper, with clear and detailed expectations on companies to fulfil their duty of care in specific areas of illegal content, including child sexual abuse images and terrorist material, which are two of Javid’s priorities. Indeed, the Paper has been met with praise from charities such as the NSPCC for its focus on protecting children in particular and the UK is leading international efforts in the field of online regulation through these plans. Nevertheless, this bold and ambitious strategy has also come under scrutiny for perhaps being too bold and too ambitious in its remit. The threat of fines when companies violate standards is unsurprising, but the plans also call for “disruption of business activities” and internet service provider (ISP) blocking in the most serious cases, which would prevent UK users from accessing the offending website. While the Paper stresses that this would only be used as a last resort, the plans have raised concerns around the threat of censorship. Furthermore, the breadth of companies included in the scope of these regulations is wide, and would include social media platforms, online forums, file sharing sites and cloud hosting providers among others; even retailers that allow users to review products online would fall into the framework. Concerns have been raised about whether any regulator, new or existing, could effectively enforce such a wide range of companies and such a wide range of harms, which range from clearly defined illegal content, such as child sexual abuse images, to ‘harmful content’, such as cyberbullying and disinformation. Government are now formally consulting on the White Paper and will publish a response in due course, setting out the actions they will take. According to Jeremy Wright, it would take roughly two years before the White Paper is made law, during which time it may be diluted down as it passes through Parliament. Political Intelligence have a wealth of experience in tech policy and frequently help clients consider their approach to policy change. If your business may be affected by the White Paper and you’d like further advice, please contact us at philip@political-intelligence.com.